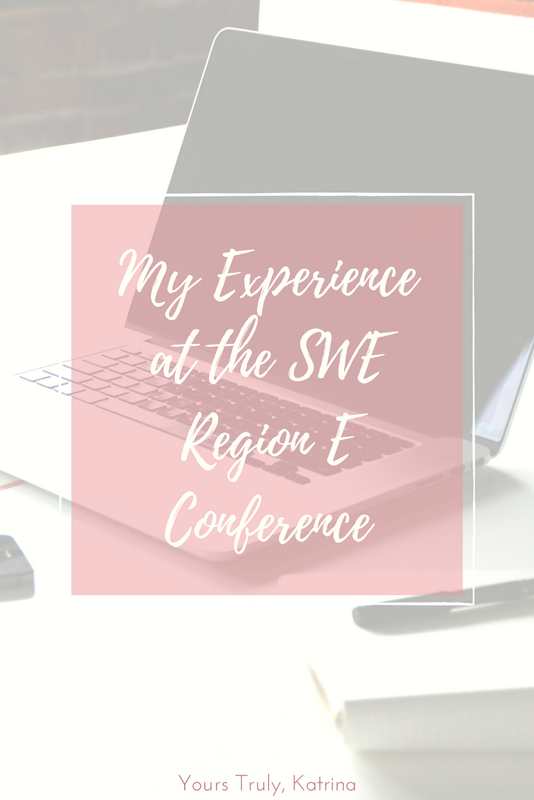 So you successfully navigated your college career fair and some companies really took a fancy to you, your work ethic, and everything else that makes you awesome. So what’s next? The internship interview! I think the interview process is equal parts fantastic and stressful. Fantastic because you get to really develop a personal connection with the person hiring you. Stressful because…well…the idea of deciding your own job’s fate is not exactly an easy one to grasp. 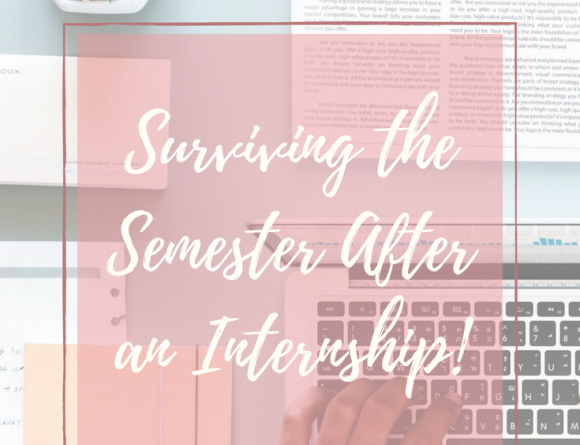 Regardless of the stress/excitement that goes into an internship interview, there are a few tips and tricks that I keep up my sleeve every time recruitment season comes around. AAAnd, I’m here to share them with all of you! 1. Preparation (and practice!) is literally everything. I wrote a little post on how to prepare for an interview in my early days of blogging, and even though that was almost a whole year ago a lot of the tips I put in there still ring true. 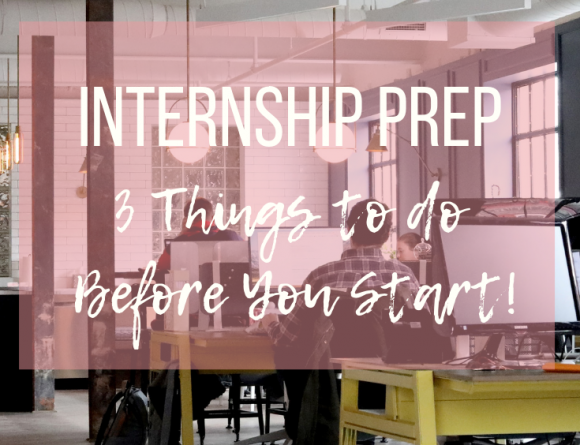 In my opinion, the most important part of an internship interview happens even before that first handshake, and that is ensuring that you’ve prepared adequately. Beyond having my elevator pitch down pat, I like to practice tons of interview questions the night before. I found this really great article by Honestly Hannah that breaks down tough interview questions, and I also like to refer to this Monster article. Interviewers love these situational questions, and the best way to nail them is to have a story locked and loaded. I typically write down three or four important experiences from my resume and pull stories that highlight my strengths. For example, I’ll write down “Running a blog” and how it highlights my passion & organizational skills in the context of the interview question. Writing down these stories helps me to remember them, and it’s awesome material for “tell me about a time when…” questions! 2. The internship interview starts the moment you walk through the door! I always tell my dancers, “The performance starts the minute you step out onto the stage – so make sure you’re at your best even before the music starts!” and the funny thing is that interviews are similar in that way. You shouldn’t wait to turn “on” as soon as the interviewer starts asking questions – make sure you are at your best the minute you walk into the waiting room. During one of my internship interviews, I was waiting in the lobby for my interviewer to show up, and I was itching to reach for my phone and check my text messages. It’s a good thing that I didn’t, because the interviewer walked right into the front door and introduced himself without any forewarning! From then on, I learned that it’s important to remember that first impressions are everything, and they can happen at (literally!) any moment with anybody. And that goes for everyone you interact with, not just your future employer! Don’t blow off the security guard that signed you in or be rude to the secretary that is calling your interviewer – 1. It’s just plain bad manners and 2. They might have more of a say than you think. 3. Keep it short, sweet, and honest. Even though it might feel like you’re sitting in “the hot seat” for hours, I guarantee that your interviewer probably feels a similar way. Think about it – he/she has been asking the same questions literally all day to different people, listening to the candidates ramble on and on about their lives. In this case, how can you stand out? You can stand out by keeping your answers short & sweet – get to the point right away. 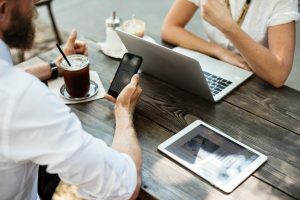 A lot of people like to use the STAR method for answering interview questions, and I think that’s a great tool, because it provides an easy-to-follow structure for both you and the interviewer. That way, you won’t catch yourself rambling for hours on end about the color streamers you used when organizing the school pep rally. Instead, your answers will highlight exactly what makes you a great candidate! Keep your answers short & to the point, but do your best to be yourself! Another thing to keep in mind is that honesty goes a lot farther than one would think. It’s easy to think that you have to create this pseudo-version of yourself to impress recruiters, but that’s just not true! They want to see the real you, and they will appreciate your honesty when you answer questions. A great example of this is the question, “What’s your greatest weakness?”. Many people think that the best way to answer is to say something like “I am a perfectionist” or “I am too organized”, which, let’s be real, isn’t even a weakness! Be honest and own up to your flaws, but show that you’re working to overcome them. If you tell them a real issue and show how you’re overcoming it, it will speak volumes on your character, and I promise employers will appreciate it. 4. Don’t be afraid to ask a question or two. 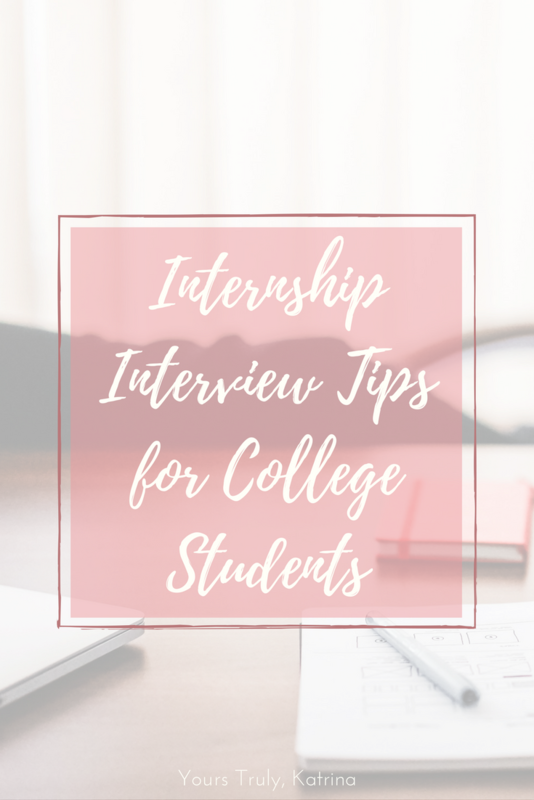 At the end of your internship interview, your interviewer will probably ask you if you have any questions. 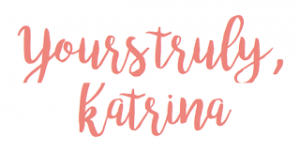 Rule #1 – ALWAYS ask a question! Even though it might seem like a trick, they want you to ask questions, and for good reason. It’s like one of my professors at school – at the end of lecture, he always asks us if we have any questions. If none of us raise our hands, he says, “Well then, I assume you’re all geniuses and you’re gonna get 100s on your exam!” Funnily enough, the same effect takes place if you don’t ask your interviewer a question at the end. He/she’s going to think you have it all figured out – and sometimes that’s not a good thing. Make sure you prepare a couple of questions beforehand. Things like “What kinds of projects do interns normally work on?” or “Is there opportunity for interns to work full-time in the future?” show that you are 1. Serious about the position, and 2. Really want to take initiative. Plus, it’s a way for you to get to know the employer better, and decide if you’re going to take the offer or not if they choose to make one. 5. Finally, confidence is key – embrace your inner #GIRLBOSS! I’m reading #GIRLBOSS by Sophia Amoruso right now, and she’s given me some serious confidence vibes that are absolutely essential. I definitely wouldn’t consider myself the most confident person in the whole world, but I try to push all of that aside the minute I walk into an internship interview. It can be easy to feel intimidated walking into a room with your potential future employers, but on the same token it’s important to remember that they already think you’re amazing. After all, would they have scheduled this interview with you if they didn’t think you have what it takes to be an amazing employee? No, of course not! It makes a world of a difference for me, but don’t be afraid to choose your own affirmation! If you walk into the room with confidence, your interviewers are guaranteed to be impressed – both by the #GIRLBOSS you present yourself to be, and the #GIRLBOSS you really truly are. I used to really stress out when I got called for an internship interview, but I’ve found that over time they’re really not that bad. It’s a really cool opportunity to get face-time with someone you could work with one day, and you get to really “show them what you’re made of”. I hope my tips helped, and good luck on your future interviews! Do you have any interview tips? How did you feel on your very first interview?